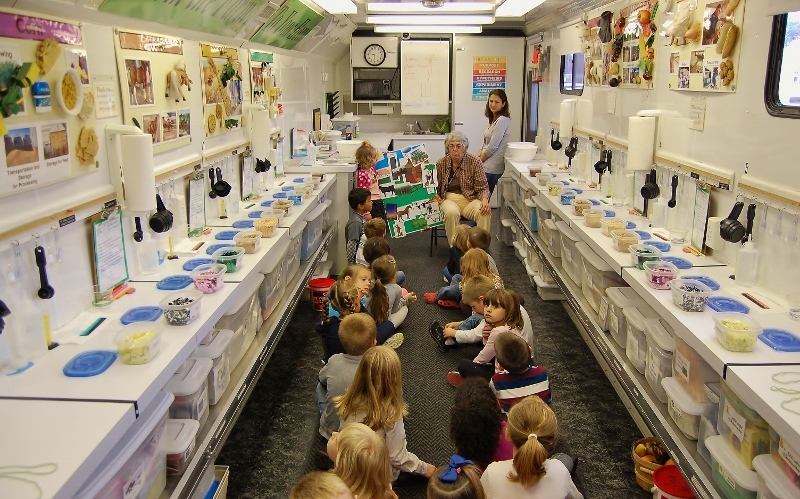 Conestoga Elementary School students are learning about farms, food and the environment through hands-on experiments and activities conducted inside a giant trailer parked right outside their school. 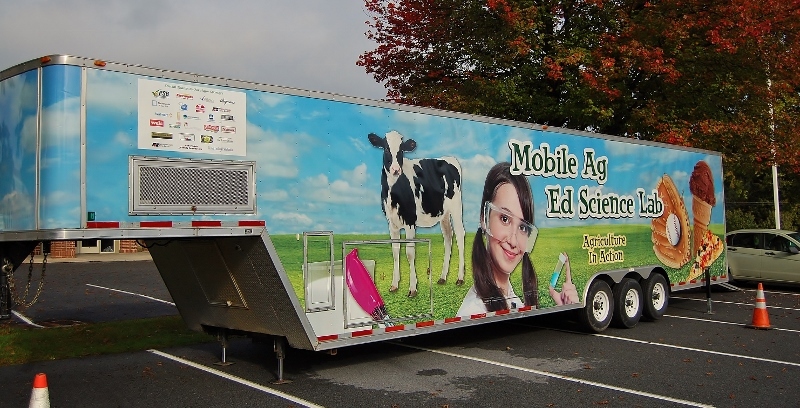 It’s not just any trailer, but the colorful Mobile Ag Science Education Lab, which is visiting Conestoga this week before making stops at three other Penn Manor schools in the coming months. Students in all grades are learning lessons focused on farms, food, fiber and the environment. Ag educator Ruth Smith is teaching them about seed germination under different conditions, how to create crayons from soybeans and the differences in the water capacity of different kinds of soil, in addition to other lessons. The 32-foot trailer is chock full of materials that students can utilize at 12 work stations. 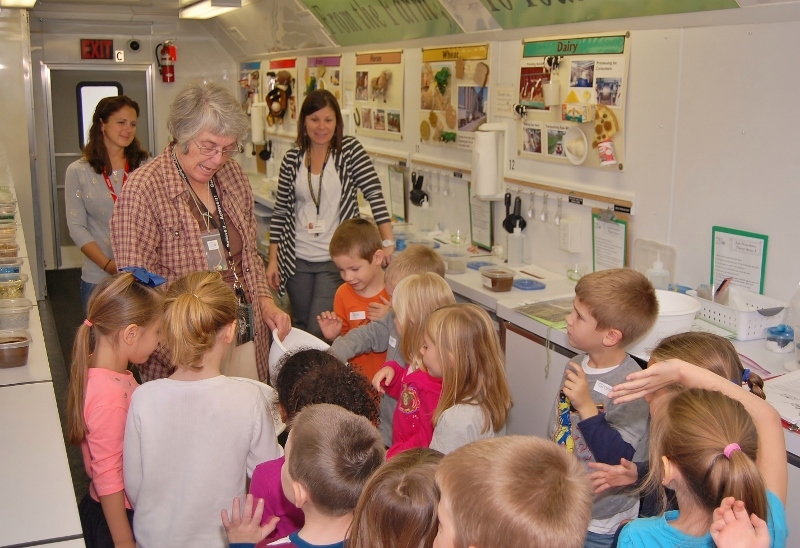 The ag science lab has been at Conestoga since Tuesday and will make stops later this year at Eshleman (week of Oct. 27), Pequea (Dec. 2-5) and Martic (April 7-10) elementary schools. The visits are sponsored by the Pennsylvania Friends of Agriculture Foundation, a division of the Pennsylvania Farm Bureau. 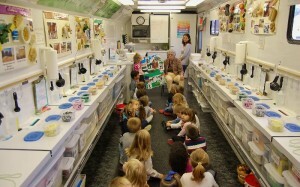 Conestoga ES kindergarten students learn about different kinds of farms during a lesson inside the Mobile Ag Education Science Lab. 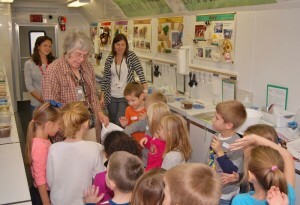 Ag educator Ruth Smith passes out materials to Conestoga kindergarten students learning about the components of a farm. The Mobile Ag Education Science Lab at Conestoga.